There was a big deal made about curved glass and flexible screens a while ago at CES 2013, and the results claimed by LG have now finally been revealed. If you were expecting a bendable screen smartphone, you’re sadly out of luck, but what you do get is certainly unique as well. The USP of the phone is definitely the curved glass screen and unique looks, but LG also revealed that the rear panel can repair itself of small scratches automatically within minutes! Here’s more about the interesting new LG G Flex! Other than the screen resolution, the LG G Flex has pretty much the same specs of the popular LG G2 and even borrows some of its unique features. High quality audio recording and playback, the rear panel buttons and LG’s software features can be found on the G Flex as well. This unfortunately also means that it will run on Android 4.2.2, a slightly older version of the mobile OS. Now, since the screen is of the OLED variety, there’s a lot more power being saved compared to traditional LCD screens. Coupled with the huge 3,500 mAh battery, expect good, if not great battery life, since the screen is usually responsible for the highest battery drain. But to the surprise of many, LG revealed something called the “self healing” rear panel. Apparently, the rear panel is coated with a special material that can recover from daily wear and tear, hairline scratches and nicks in a matter of minutes. So if you’re picky about scratches like I am, this is a very useful feature. Also, Wolverine, are you listening? 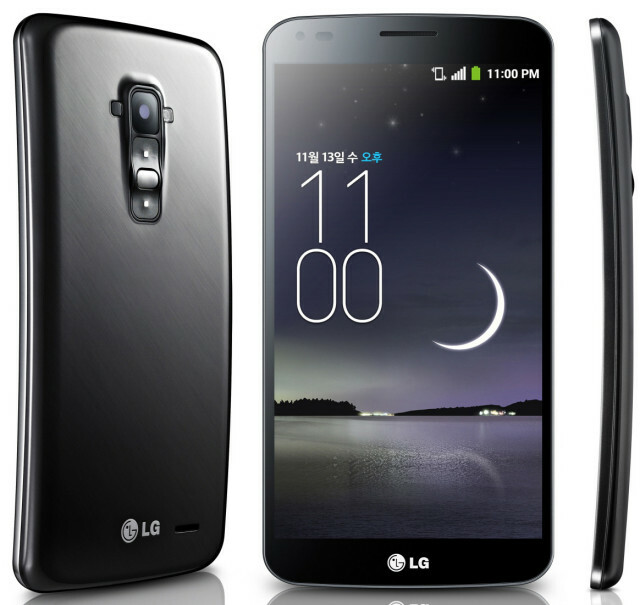 The LG G Flex has been announced to launch only in Korea for now, but we can expect a global launch in the coming months. There’s no official word yet. Meanwhile, do let us know what you think of LG’s unique new smartphone!